We’ve started our summer interview trips which means I will be on the road more than I am in the office. Last week a Densho team (Dana Hoshide, Megan Asaka, and I) were in Honolulu to do six interviews. My first interview was with Muriel Chiyo Tanaka Onishi. Muriel is a Nisei who finished high school on Oahu and was going to college in Japan when the war started. Her mother who was the principal of a Japanese Language School on Oahu was picked up by the FBI and incarcerated at the Crystal City DOJ camp. Her brother joined the US Military Intelligence Service and served in the Pacific. 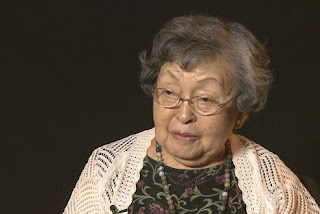 Because of Muriel’s bilingual skills she was “recruited” to help the Japanese Military by listening to American radio reports and writing down in Japanese what she heard. She did this with a small group of Nisei who were also visiting or attending school in Japan when the war started. She talks about how she talked with the other Nisei about how “horrible” it was to have to do this type of work. 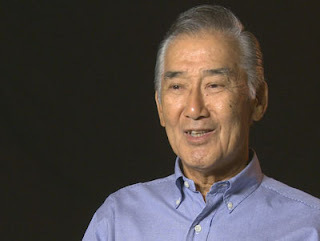 My second interview was with James Nakano. He talked about how his family was removed from Honolulu to the Jerome, Arkansas camp to join his father who was picked up by the FBI in Honolulu after the bombing of Pearl Harbor. James is the brother of Bert Nakano who was a Redress activist. James talked about how Bert and he would often get into disagreements with mainland Japanese Americans because of the differences between the Hawaii boys and the “Kotonks.” The family later moved to the Tule Lake camp, where his father was then sent off to the Santa Fe camp while his mother was sick in the hospital after delivering a baby girl. James talks about how Bert and James, as teenage boys, had to quickly figure out how to take care of their newborn baby sister. My third interview was with Paul Yempuku, the longtime publisher and president of the Hawaii Hochi, the bilingual newspaper in Honlolulu. Paul was born in Hawaii and then at six, went to Japan with his family to attend school. He talked about being a teenage boy who had to work in a Japanese weapons factory making parts for submarines while American bombs were dropping. 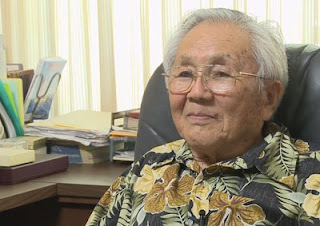 He lived through difficult living conditions, never getting enough to eat and seeing the devastation of the atomic bomb at Hiroshima only days after it was dropped. He also talked about a dramatic family reunion with his oldest brother who served with the US Counter Intelligence Corp right after the end of the war. Over the next few weeks we will be doing dozens of interviews in Hawaii, Minnesota, Washington and California.